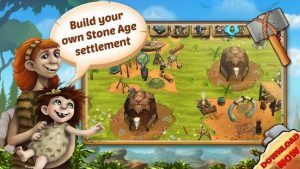 Experience the earliest era of human history and explore the Stone Age game Stonies. 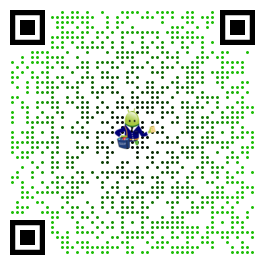 In this exciting game app, you will teach your prehistoric kin to hunt, make fire, and build their own village with countless different buildings. Lead your Stonies through the undoubtedly most fateful epoch of human history. Discover a world full of dangers, challenges, and gripping tasks. Help your Stone Age game people progress from primitive cavemen to settled villagers in this extraordinary life simulation. Craft hunting weapons such as wooden spears and hunt down rabbits and deer to ensure the survival of your clan. Stonies is a one-of-a-kind life simulation for your smartphone or tablet. An amazing tycoon game awaits you. Complete exciting missions with your tribe. Dive into the prehistoric times and explore the rugged wilderness with your cavemen. Teach them countless skills, such as working leather and wood, and expand your tribe’s primeval power in this Stone Age game. Play the gripping mix of life simulation and tycoon game now and accompany your Stonies through their prehistoric life. Prove your skill as a Stone Age leader in Stonies. All you need is a mobile device and a stable internet connection! Let’s go! Hi Richard, Sometimes your Stonieswish for a partner even if there isn´t the right one in sight. To marry them you have to wait until your children are old enough. Depending on their age this takes only a few days though. Great game. Challengeing and lots of fun. I really enjoy this game to the point of using real money at times. However since the update it crashes..need to re load and at times it doesn’t load at all..I have to force stop the game regularly..once these glitches get sorted I will rate 5 star. On the upside the customer service is very good..have answered every single email that I have sent and appear to be sorting the problems and I understand this make take a while..but I think it’s worth waiting for. Keep up the good work ! Christmas was celebrated even in the Stone Age – at least in the Stonies world. The big event starts on December 13. You’ll be able to earn a unique Gingerbread Dinorama and other great prizes. Give yourself the very best gift for Chrismtas – and earn the wonderful festive rewards in Stonies!